We are back with another episode of the SFLC Podcast. 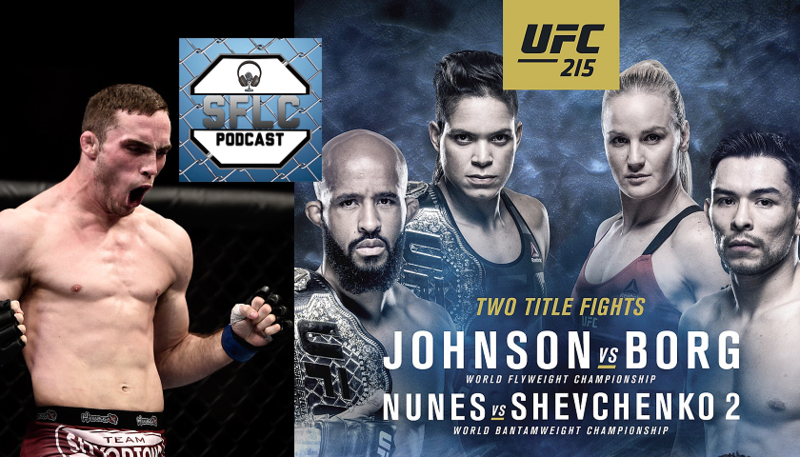 Ryan Sprague, Steve Dunn and I make our predictions for this Saturday night’s UFC 215 card. UFC lightweight Tony Martin (@TMartinMMA) joins us to discuss his upcoming fight with Olivier Aubin-Mercier next Saturday night at UFC Fight Night 116 in Pittsburgh. Martin will look to make it four straight wins while kicking off the main card on FS1.